Ransomware has been on a decline due to the increase in specifically targeted attack vectors as described in our List of Companies Attacked with Ransomware. Just because there is less ransomware going around doesn’t mean your company should stop worrying about the specifically targeted attacks and fine-tuned ransomware software making it into your organization. This is why we’d decided to provide you with some of the statistics in relation to the current state of ransomware thanks to several ransomware reports performed by third-party companies. While ransom demands completely obliterated 22% of organizations, the ransom demands were not the real small business killer. The downtime was. From the financial sector to government and retail, various industries had a high level of concern about ransomware. Financial services were the most concerned about ransomware with 54% of the firms being concerned or extremely concerned. The transportation sector was the least concerned with only about 26% of transportation organizations worrying about ransomware. Small and medium-sized business alike believed that using technology to fight ransomware is way more effective than educating people. 1/3rd of all surveyed businesses claimed to have been running anti-ransomware technologies and 1/3rd of all businesses also experienced a ransomware attack in 2017. 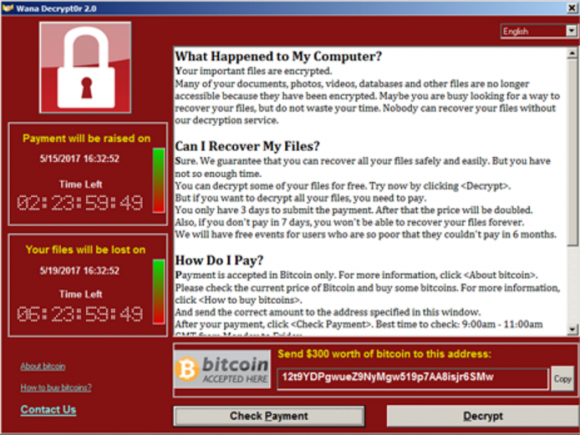 A separate report performed by the Ponemon Institute and sponsored by Carbonite found that 51% of companies they surveyed experienced a ransomware attack and on average paid $2,500 per attack. The only companies that didn’t pay the ransom were the ones with an implemented backup solution which the companies believe to be the best defense for a ransomware attack. Companies suffered financial consequences such as the need to invest in new technologies, the loss of customers and the lost money stemming from the downtime. Many of the companies thought they were way too small to be a target of such attacks while several reports have found the exact opposite to be true. Ransomware actors often attack small and medium-sized organizations due to a lower chance of those companies having Data Backup and Cyber Security solutions in place. The inability to detect ransomware infections puts companies at an even higher risk as ransomware infections that are undetected are able to bypass the organization’s Anti Virus systems and spread across the network infecting even more devices in the process. It’s time to stop thinking about your company being too small to ever become a victim of a ransomware attack. Contact us today for a free network and security assessment and we’ll show you just how secure your company could be.